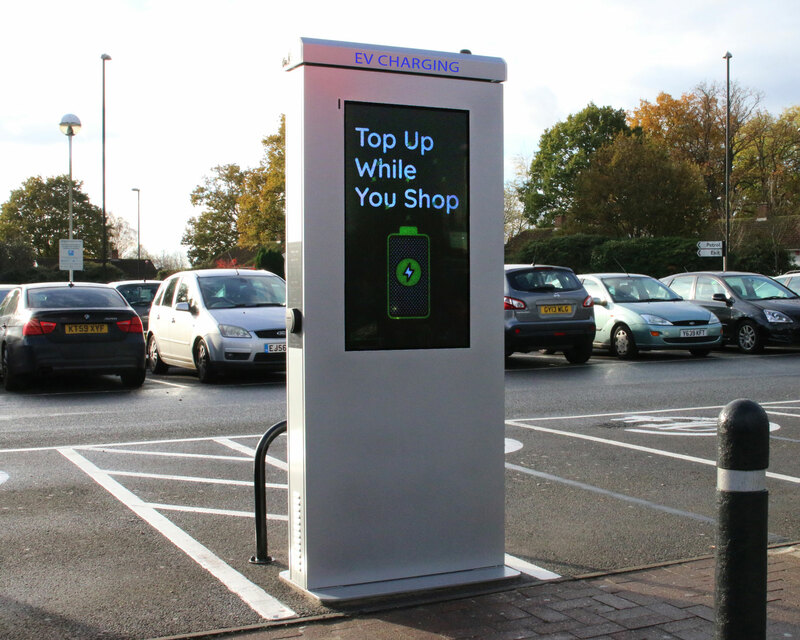 Some of the hawk-eyed amongst you may have already noticed our new (FREE to use) Info Chargepoints popping up in the London area. We’re pleased to announce that they do belong to us and they’re part of our latest pilot program. If the pilot program is a success we hope to roll out even more FREE charging all over the country. To do this though, we need your help (details on how you can help below). How do we make FREE charging sustainable? We take a 7kW charger with 2 sockets, add a digital screen and our sponsors fund the free charging offer. Where do I find these new Info Chargepoints? It’s simple! By enjoying a free charge on one of our new Info Chargepoints and encouraging fellow EV drivers to do the same. This is a pilot program that we are very excited about - we need it to work! How can we prove it works? By making sure as many EV drivers as possible use the new FREE Chargers! In addition to our Info Chargepoints you may have also spotted our Rapid Chargers which are also part of the pilot program. At 24p per kWh with no connection or membership fees, we believe they offer great value, more info to follow. How do I recognise an Info Chargepoint? Here's an image to help you recognise them. We hope you are as excited about this pilot program as we are. If you have any questions please get in touch via social media as we’d love to hear from you. You can find us on Facebook and Twitter. Happy charging! Well, I guess we should say happy info point charging!